Behavioral interventions help adolescents to actively participate in their recovery from drug abuse and addiction and enhance their ability to resist drug use. In such approaches, therapists may provide incentives to remain abstinent, modify attitudes and behaviors related to drug abuse, assist families in improving their communication and overall interactions, and increase life skills to handle stressful circumstances and deal with environmental cues that may trigger intense craving for drugs. Below are some behavioral treatments shown to be effective in addressing substance abuse in adolescents (listed in alphabetical order). Adolescents can participate in group therapy and other peer support programs during and following treatment to help them achieve abstinence. 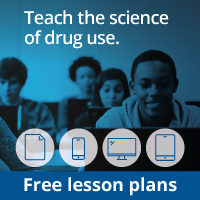 When led by well-trained clinicians following well-validated Cognitive-Behavioral Therapy (CBT) protocols, groups can provide positive social reinforcement through peer discussion and help enforce incentives to staying off drugs and living a drug-free lifestyle. However, group treatment for adolescents carries a risk of unintended adverse effects: Group members may steer conversation toward talk that glorifies or extols drug use, thereby undermining recovery goals. Trained counselors need to be aware of that possibility and direct group activities and discussions in a positive direction. Behavioral interventions help adolescents to actively participate in their recovery from drug abuse and addiction and enhance their ability to resist drug use.